Four Samsung Galaxy Fold review units in the hands of major US technology industry reporters all experienced today. CNBC's Steve Kovach, Mark Gurman of Bloomberg and Dieter Bohn of The Verge reported major flaws in the billboards of their phones, just two days after they were received. To say that it's a disaster for Samsung, it's probably the cheapest selling YouTuber well known MKBHD claims to have similar problems, but did not post any picture. 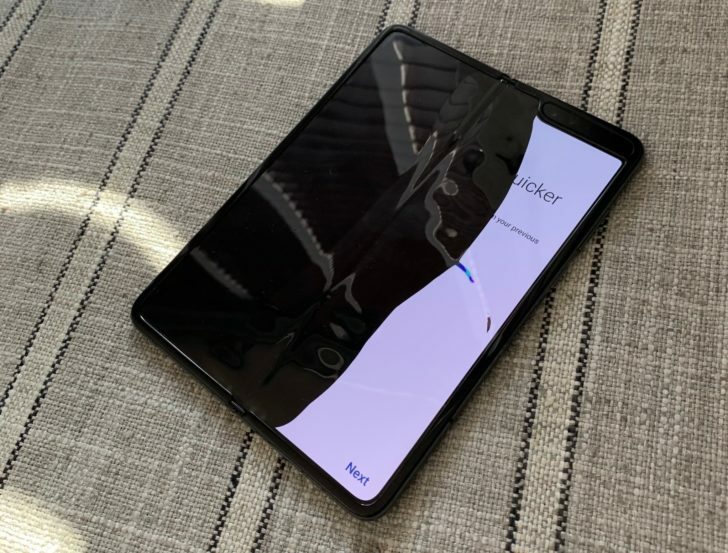 Bohn and Kovach claim that their screens failed without removing the protective film from the panel (Samsung says not to remove it), but Gurman and Brownlee did it. It's hard to say if these developments will have an impact on Samsung's plan to launch the Fold to consumers by the end of next week. But given the number of people who failed (four by our account) on the few dozen that Samsung has even distributed, it does not look good.